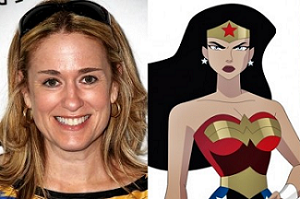 In this episode, Sam and Cara chat with Susan Eisenberg, the voice of Wonder Woman! The three talk about fan interaction through cons and twitter as well as the ins and outs of voice over work. Soap operas also come up! P.S. The answer is Jodie Dallas.